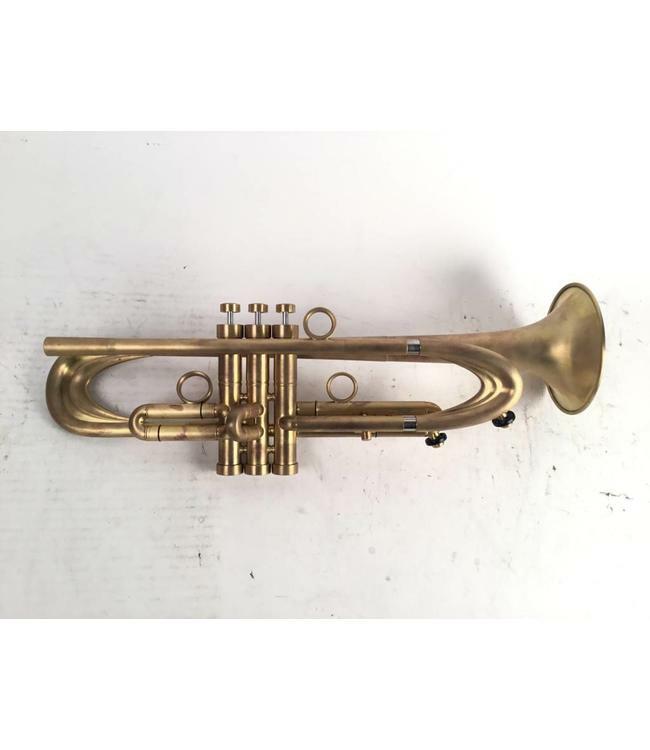 Used Harrelson "Prototype 2015.4" Summit Bb trumpet in brushed raw brass. Sold date per spec sheet is August 24, 2015. Instrument is in New-Demo condition. #1 leadpipe, #7/10 bell, 4 3/4" bell flare, ML (.460") bore, SWE elliptical tuning slide r, equipped with AGR style R4 5/8" taper and complete shim kit, cylindrical finger rings, saturn water keys, 3rd slide screw stop, standard 1/2" top caps, light 3/8" bottom caps, and mod2 finger buttons w/ yellow paua inlays. Includes spec sheet/info packet. Includes case.